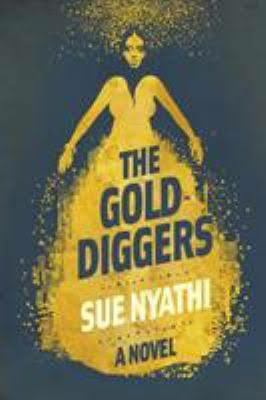 Sue Nyathi’s second novel opens in 2008, with Zimbabwe in economic meltdown. Her story follows a group of would-be emigrants, crowding into a taxi to start the illegal and dangerous journey to Johannesburg, the City of Gold. They range from the middle-aged Malume to Gugulethu, an unaccompanied child whose mother wants her to come to the city where she is establishing a life. Among the others are those who are running away from their pasts and those dreaming of a better future or a reunion with the ones they love. The journey is horrific, as are those who facilitate it. Nyathi’s cast of migrants are, like most of us, both good and bad, but the dehumanising effects of their situations both in Zimbabwe which is crumbling to its knees and in South Africa where waves of xenophobia make their lives doubly dangerous are clearly shown. It’s hard to maintain decency and integrity when your life is lived right on the edge of society. Nyathi probes deep into the underworld of Johannesburg, bringing the reader face to face with the drug culture and its users, pushers and mules. Some of her characters get a sniff of the high life, but all too often see it torn away from them. They are well drawn, rounded and realistic, though inevitably where there is a large cast, there are moments when the reader wants more about one of their favourites.